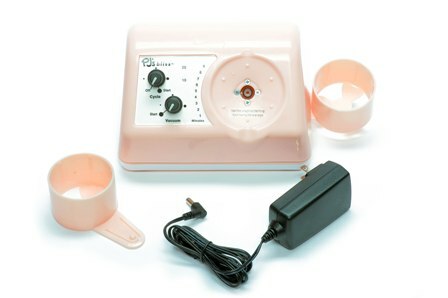 One year warranty on Bliss breast pump and three year warranty on Comfort breast pump. This warranty applies to original owner only and is non-transferable. Extended warranties are available that can be transferable. Contact us for Extended Warranty info. Features a robust motor as well as state-of-the-art microcontroller technology. 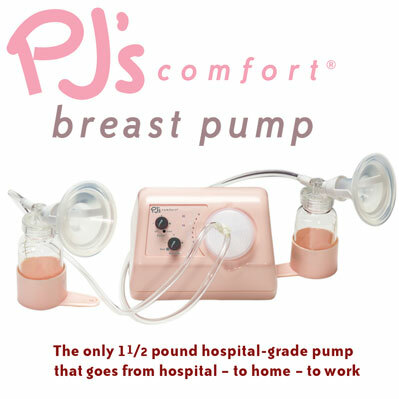 PJ's Comfort researched based, hospital grade pump is approved for one or more users. PJ's Comfort has a unique patented technology which truly mimics your baby's suckling pattern. Other pumps may use a push-pull motion, while Limerick's PJ's Comfort is the only pump to incorporate a more authentic compression and vacuum motion - which is how your baby nurses. This pump has a timer that tracks elapsed pumping time. In addition, this pump is a closed system. $725.00 Includes PJ's Comfort Executive Tote includes: Soft - touchTM Kit (kit contains BPA free storage containers and caps) with silicone breast cup assembly, pink mesh bag, terry lap cloth, black nylon drawstring bag for storing bottle holders, extra filter and gasket, removable cooler with 3 ice packs, 2 extra BPA free storage containers, padded shoulder strap and vehicle adapter. 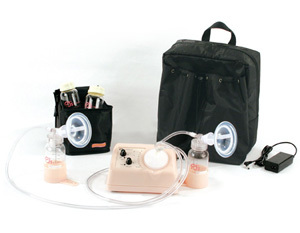 $279.99 PJ's Bliss Standard Breastpump includes: the shoulder tote that can also be worn as a backpack, the Sof-touchTMKit with BPA free storage containers and caps, removable cooler containing 3 ice packs and 2 extra BPA free storage containers.